Haldon, J., Elton, H., and J. Newhard (eds. 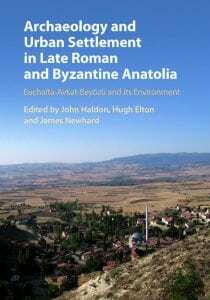 ), Archaeology and Urban Settlement in Late Roman And Byzantine Anatolia. Euchaïta-Avkat-Beyözü and its Environment (Cambridge). Congrats to Dr. Newhard and the entire Avkat team! This entry was posted in Avkat, Faculty, Research, Uncategorized and tagged ancient history, archaeology, Classics, environment, Faculty, GIS, Student. Bookmark the permalink.